Summer is here, the sun is shining and your chickens will be enjoying lazing in the sun and doing a spot of dust-bathing. So while they’re out of the Eglu it’s the perfect time to give it a good clean out. Although the Eglu takes just minutes to clean with a hose-down, from time to time you might want to give it a more thorough wash and treatment, so keep germs and worms at bay. So this week we are discounting some of our favourite cleaning products. 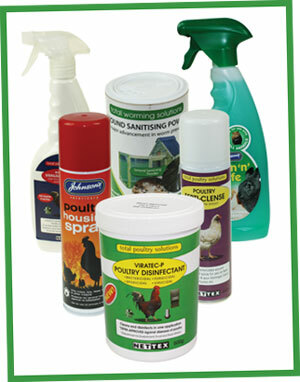 Save 10% on cleaners and disinfectants!